In a series of festive blogs, we’ll be shining a spotlight on a few clients who have made remarkable business achievements in 2017. Next up is Leapfrog Finance. From a solar installation for a wildlife trust in Wiltshire, to a network of eco houses in Greater Manchester, Leapfrog Finance is the UK’s leading provider of social investment to community energy projects. A subsidiary of London based charity Pure Leapfrog, Leapfrog Finance was created in 2015 to support communities in acquiring renewable energy assets. Within the first 18 months £30 million was provided to communities that were amongst the 50 percentile poorest in the country in order to help alleviate social ills such as fuel poverty. 2017 has been an award winning year for the team; Executive Director, Chris Matthews, explains more. ‘In the past 12 months we’ve lent out about £24 million to enable community ownership. The first one we supported was a solar array on a derelict brownfield site in Ernesettle, Plymouth. 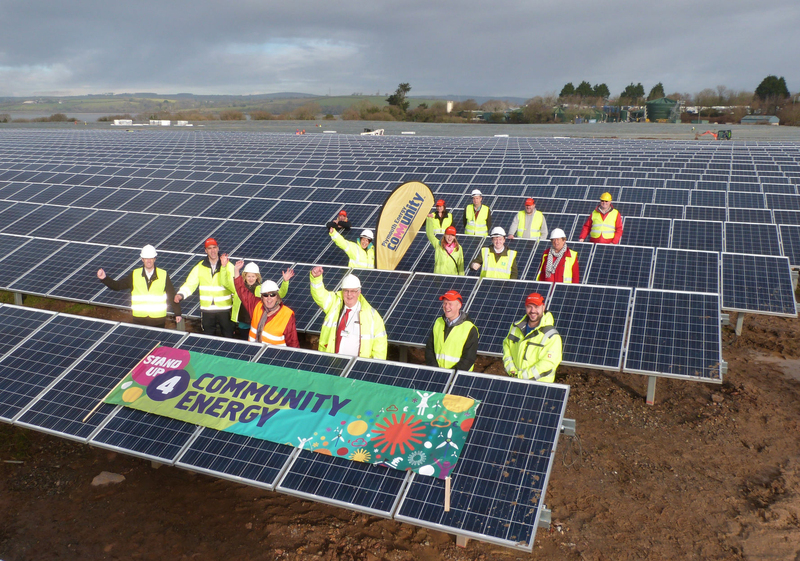 Not only does the array produce enough clean energy to meet the annual needs of 1000 homes, but it is also generating an estimated £2,900,000 of additional income for the Plymouth Energy Community to help them tackle fuel poverty and develop climate change projects. ‘In Scotland, we funded a 5 megawatt solar farm in Arbroath that immediately made £25,000 for the local community but in the longer term will bring a much greater benefit. The energy is sold into the grid under a feed in tariff arrangement and the profits go into a foundation which is invested into local community projects in areas of high deprivation’. In addition to the 100+ community energy projects that Leapfrog have supported in the UK, they have also been active in Africa. 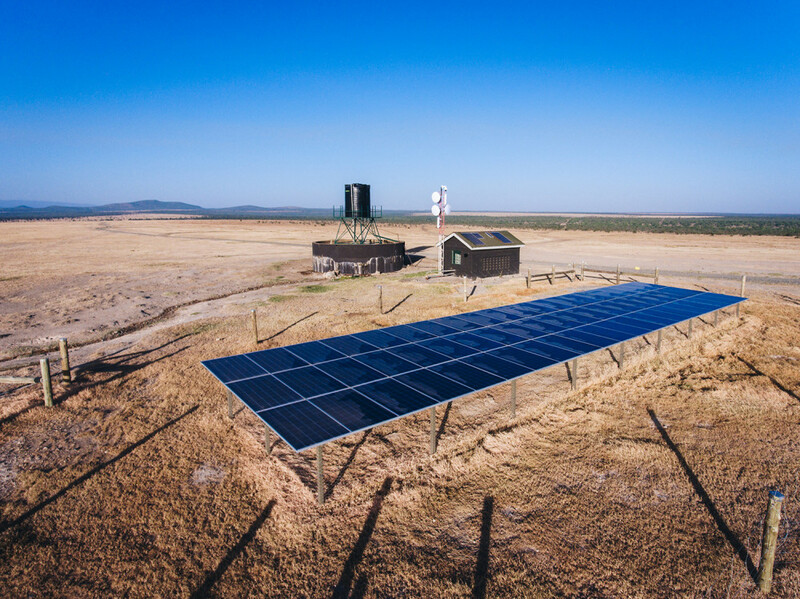 A diesel powered water pump with a solar PV was installed at the 90,000 acre Ol Pejeta wildlife Conservancy in Kenya. This drought prone area is the largest black rhino sanctuary in east Africa and home to the last three remaining northern white rhinos. The project enables management of the conservancy’s water usage and broadband to be transmitted from the pump for use by the local community and schools. Leapfrog Finance work with Johnston Carmichael’s Infrastructure and Renewable Energy team, utilising their financial and sector expertise to ensure longevity and success for these projects. ‘Following a tender process, our trustees chose Johnston Carmichael because of the team’s knowledge of financial models, fundraising, audits, the energy sector, and their understanding about the importance of community’ states Chris. 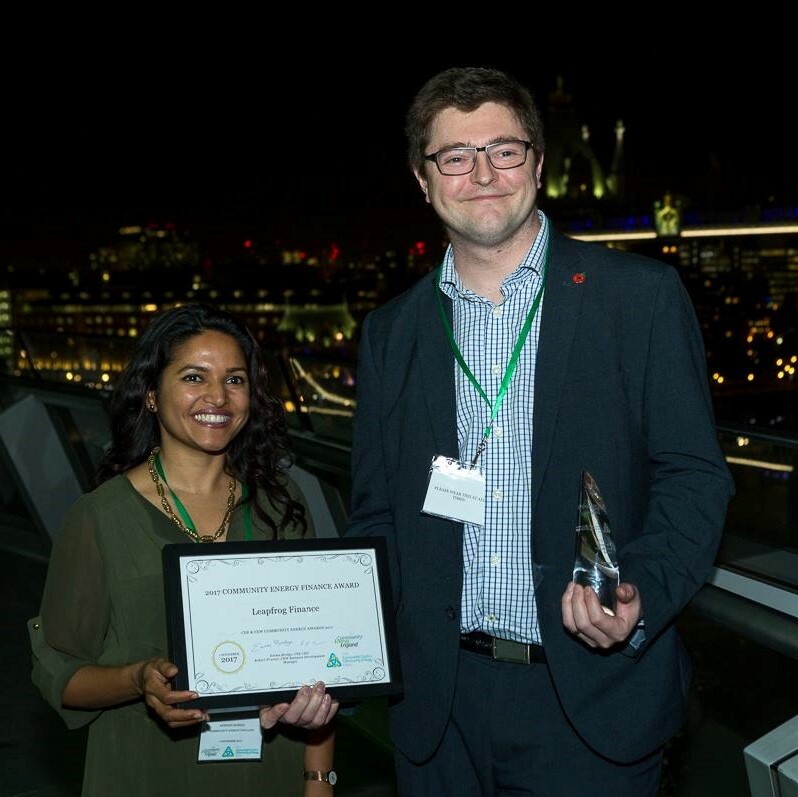 In November 2017 Leapfrog Finance were awarded a Community Energy Finance Award in recognition of their achievements and ongoing commitment to making renewable energy projects a reality for communities across the UK and abroad. ‘We were really pleased to receive this award’ said Chris. ‘Leapfrog Finance look at how we can use money in a more constructive and positive manner in our society so it’s fantastic to have this recognition for what we’ve achieved so far. We reduce carbon, we help the planet and at the same time we reinvest that money into good causes, to help people less fortunate than ourselves’. In addition to the award, were there any other highlights for the Executive Director of this passionate, ambitious organisation? ‘Seeing a group of people working together, not just within the organisation but externally as well, is a real highlight. We’ve had the opportunity to create a platform that can do more good by people pulling together; there’s Jamie and Mark at Johnston Carmichael, the guys at ITP Energised, our legal advisers Lux Nova, this virtual team that have one common goal. But there’s still a lot more to do; rooftop solar energy for social housing and community owned battery schemes are on the 2018 agenda and there’s a lot going on in the charity side of things. There’s a few upcoming projects which are very exciting and if one or two of those come off I’ll be delighted’. A selection of the 100+ projects and hundreds of thousands of people that Leapfrog Finance have assisted are showcased on their website.